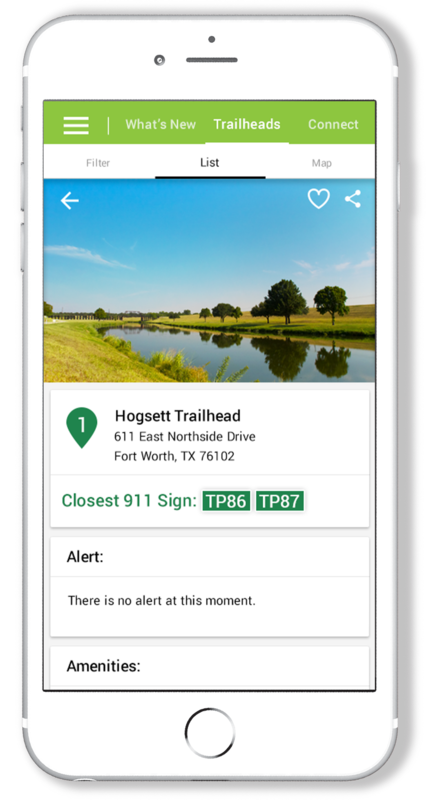 To meet the public needs of our growing Trinity Trail system, we have developed a new mobile phone app to help citizens get around the trails in Fort Worth. With the help of this interactive tour guide, we are able to offer up-to-date information on amenities, events, and other happenings along our 70+ mile trail network as they happen. All the trailheads that are kept and maintained by TRWD or the City of Fort Worth are available to map and route from any location. This includes a filterable list of amenities that allow trail users to highlight restroom areas, 911 signs, trail parking, kayak lunch sites, and more. Along with the trailhead information, we are offering a complete map of the 70+ mile trail network with up-to-date information on closures and detours. If that wasn’t enough, we also offer a news feed of all the relevant events and happenings on the trails. Find organized runs, or maybe an event down the street from your home. For more information and a link to download the app, check out the Trinity Trails app webpage.